Maxi Folic Acid™ is the right folic acid for you. Folic acid also known as folate, is a B vitamin. It helps support the body’s manufacture of new cells and supports the effectiveness of vitamin B12. Folic Acid is important during pregnancy. It is vital for cell reproduction in the developing fetus and helps prevent birth defects. 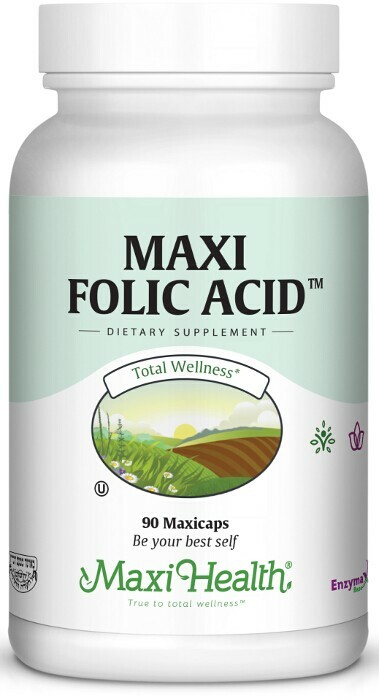 Get Maxi Folic Acid™ for you and your family. Take one (1) Maxicap™ daily with meals, or as directed. Other Ingredients: Microcrystaline cellulose, vegetable cellulose, and Enzymax® (calcium carbonate, bromelain, papain, lipase, amylase, protease, silica).